Parents often wonder when their baby will settle into a “perfect” nap schedule. This can feel quite elusive when you have a newborn, but knowing what to expect based on your baby’s age and development can help. It’s important to set realistic expectations and to understand nap basics and how to transition your child from two naps to one and then to a quiet time. I advise parents to follow some guidelines based upon a child’s age. Newborns need as much sleep as possible. Most parents of newborns find that four to five naps per day is not uncommon. However, newborns don’t settle into a morning nap routine until about 12 to 16 weeks of age. Until then, babies sleep at a variety of times – and for a varied length of time – throughout the day. So at this young age, focus on getting those naps in any way you can. Don’t fret if your baby seems to be dependent on you to get to sleep each time. It’s so important for his rapidly growing brain and body that he gets as much sleep as he needs. Remember you can’t spoil a newborn! Your goal is to promote good sleep and a close, warm connection between you and your baby. 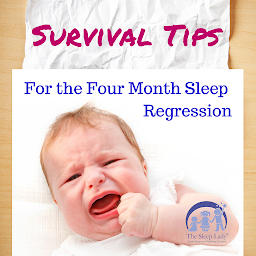 Overall your newborn to 5-month-old should sleep around 12 to 17 hours in a 24-hour period. Most 6 to 8-month-old babies need between two and three naps per day (ideally 90 minutes each for the first two naps): a morning nap, an afternoon nap and a one-hour (maximum) late afternoon nap to help them make it to bedtime without becoming overtired. From 6 months until 12 months your child needs 12 to 16 hours of total sleep a day, according to the American Academy of Pediatrics’ sleep guidelines. Most children give up the third, late afternoon nap by 9 months – especially if they are napping well for the first two naps. If you notice that your baby takes a long morning nap and a short afternoon nap, you may want to consider shortening the morning nap to no longer than 90 minutes. RELATED: Naps: Not Just for Kids! Between 13 and 18 months most children transition naturally from two naps to one by dropping their morning nap. Once the child has made that transition, the afternoon nap is ideally two hours and often begins between 12:30 and 2 p.m. If your 12- to 15-month-old has a morning nap, it should be kept to one hour at most if you notice your toddler is resisting his afternoon nap. For newborns, focus on getting those naps in any way you can. Don’t fret if your baby seems to be dependent on you to get to sleep each time. Your child will continue with their established one-nap pattern until they are ready to transition to quiet time. Your child is likely to stop napping between 3 and 4 years of age. I would call any nap that is shorter than 45 minutes (for children over 6 months) a “disaster nap.” Such a short nap doesn’t encompass a full sleep cycle, so babies wake up cranky and tired rather than refreshed. You may notice an increase in disaster naps if your child’s sleep schedule changes, like at daycare, or if her wakefulness window — or the amount of time she’s usually awake — is exceeded. If a change in sleep schedule due to daycare is the culprit, I recommend working with your daycare provider to reach a better nap schedule for your child. As children grow up, they begin to test boundaries, including their nap routine. Don’t give up, though. Your child needs a nap until 3 or 4 years of age. If your child is resisting naps and nearing a time of transition (when a nap is dropped or he’s able to stay awake longer), you can make adjustments to see if your baby is more willing to nap at a different time in the morning or perhaps a little later in the afternoon. Also, adjust bedtime according to how naps go during the day. It’s important to keep a routine that is flexible. 7 to 7:30 p.m. bedtime. The morning nap starts later and later. The child isn’t sleeping during her morning naptime. The child is taking a really big morning nap and not feeling tired for an afternoon nap. By the time they feel ready for an afternoon nap, it’s too late: It’s 4:30 or 5 p.m., and a nap at this time will disrupt bedtime. Watch for these kinds of signs consistently for about a week before you decide to transition from two naps to one. Then, push the start of naptime to about 12 p.m., then 12:30 p.m., and eventually move it to 1 p.m. Your child may wake up cranky and still tired after an hour and a half. You can try to extend the nap by going in and saying, “It’s not wake-up time, yet. Let’s go back to sleep,” and give him 15 more minutes. This may not work, but it’s worth a shot. During this transition time, he may nod off later in the day while on a walk, for instance, and that’s OK. Let him doze for less than 30 minutes and wake him so that he will be ready for bedtime at a good hour. Until his one afternoon nap is well established, his bedtime may need to be earlier than 8 p.m. During this adjustment phase, it may be closer to 7 p.m.
After a few one-nap days, you may notice excessive crankiness or behavioral issues, which may mean he needs a morning nap. But only let it go 45 minutes, waking him at that point so he can still take an afternoon nap. Be open to an occasional two-nap day during this transition period. 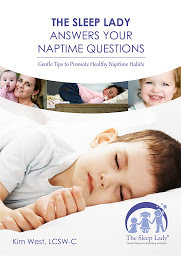 Your toddler or preschooler may drop her nap one day and need it the next. Don’t assume she doesn’t need a nap just because she seemed fine without it the day or two before. Offer her the option of a nap in an environment suited to promote sleep (dark, quiet, cool temperature, familiar items and bedding). She may choose to enjoy some quiet time instead. Just be sure she is getting between 10 and 13 hours of sleep a day. Even when children stop napping, they still need a period of quiet time to help them rest, refresh and regroup midway through their day. I like to introduce a quiet time gradually so that the transition is smooth. You will want to set some ground rules such as no loud instruments and only certain activities, like an audio story or books to look at, as well as establishing when they can come out of their room. Stick to the boundaries you set. Start with just 15 minutes of quiet time and gradually increase it in intervals of 15 to 20 minutes. Some parents find that a calm, brief video with a healthy snack sets the stage for quiet time. Others find going right into playing quietly works best for their child. Experiment with each to find what suits your preschooler. If your child naps intermittently – a few days on and a few days off – continue your nap routine as needed and add in the option of a quiet time when he doesn’t feel like sleeping. Remember, naptime sleep is different than nighttime sleep. There is more going on – the noise and light levels are different, and sometimes babies just don’t want to miss anything. Every baby goes through a period of struggle with finding the perfect naptime. Watching for your child’s wakefulness windows, looking for signs of tiredness and remaining consistent with your baby’s routine will help to ensure that she is getting enough quality naptime sleep. This article originally appeared in US News and World Report.